Here’s a secret: Landing page optimization best practices aren’t universal. You can’t count on every tip or trick to work for your specific website. When it comes to increasing conversion rates, few strategies are more effective than the implementation of landing pages. Yet, these crucial linchpins to the optimization process are often rushed or overlooked completely in the grand scheme of marketing. If you’re just trusting in landing page optimization best practices to work no matter what, you’re in for a surprise — and not the good kind. Your business and your audience are unique. They deserve careful consideration when building, optimizing, and testing your landing pages. What works for one website won’t work for another. That’s why it’s critical to understand how landing pages work, and how you can tweak existing best practices to fit your specific needs. The core pages of your website are likely listed in your navigation bar or exist on your blog. Historically, landing pages have been different. They’re not part of the site’s core framework, but instead exist as a separate destination for a specific purpose. However, the term “landing page” has become broader over the last few years. Your homepage, for instance, can serve as a landing page. So can a “features” or “benefits” page. If you visit CrazyEgg.com, for instance, you’ll notice that it doesn’t look like a standard core web page. There’s no navigation or significant body copy above the fold. It’s a landing page. 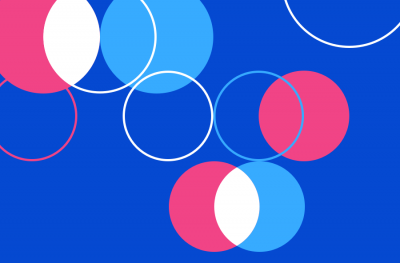 The focus is on that big blue CTA — “Show Me My Heatmap” — as a lead-generation tool. Then you see some social proof and an invitation to learn more. Notice that the “Learn more” CTA appears after the initial CTA. That’s important. People who don’t convert on the first offer might want to explore the tool a little more. That’s fine, but marketers want to capture as many leads as possible from the get-go. From those facts, we can determine that a landing page has one goal: conversions. It exists because you want people to take advantage of a specific offer. What Is Landing Page Optimization? Here’s a Definition. Landing page optimization best practices come down to helping you achieve your primary goal: Convert more people. Each time you adjust an aspect of your landing page, you hope it contributes to more conversions. In a perfect world, you would run down a checklist of landing page optimization best practices, apply them to your own landing pages, and wait for the sales to roll in. It doesn’t work that way. You can use best practices as a blueprint for landing page optimization, but then you have to pay attention to your audience’s reaction, collect data, run tests, and optimize all over again. Does that sound exhausting? It doesn’t have to be. Plenty of tools exist to help you automate much of the process. But landing page optimization should roll out in a systematic fashion. You start with the raw material, then add and subtract as you go. Why Do You Need a Lead Capture Page? A lead capture page is a specific type of landing page. It’s designed to convert prospects into leads. How? By asking for visitors’ contact information. At most, you’ll likely want the prospect’s name and email address, and in some cases, you don’t even need the name. Lead capture pages help you build your email list. Once you have leads, you begin nurturing them so they eventually become customers. While landing page optimization best practices can give you a start, learning how to apply conversion optimization techniques will make you a better marketer. Instead of blindly following advice, you learn how to test and monitor your website’s performance. Sure, it takes more time, but you’ll end up with a far more enticing website that converts a greater percentage of your overall website traffic. You need a solid product or service behind those efforts, but as long as you’ve developed something that will provide value to your target audience, it’s time to focus on generating traffic, monitoring that traffic, and optimizing your landing pages. Landing pages act as digital guideposts that direct your customer to take the precise action you want them to take. Unlike a regular web page, a landing page has a specific goal in mind and everything not related to that goal is eliminated in favor of a more streamlined, actionable approach. Landing pages are extremely precise about the end goal in mind and don’t hesitate to eliminate anything that doesn’t add to that goal in some way. So, now that you better understand what a landing page is and why you need them, let’s take a closer look at the different types available. This is by no means an exhaustive list but is rather meant to get you thinking critically about the types of landing pages that would best suit your particular end goals. You’ll design your landing page based on what you want it to achieve. Many people get so hung up on the design that they lose focus on what the end goal should be. To help prevent this, you should build your landing page in reverse – that is, begin with the end in mind. 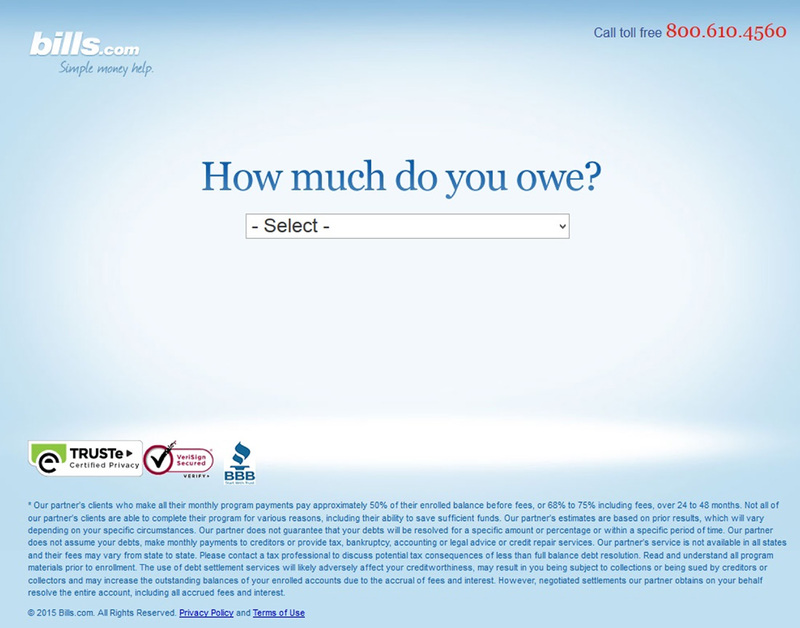 By simply selecting how much you owe, you’ve taken the first step in their funnel. As the process continues, they learn more and more about your preferences and goals, and you get a customized solution to help with your financial concerns – a win-win. 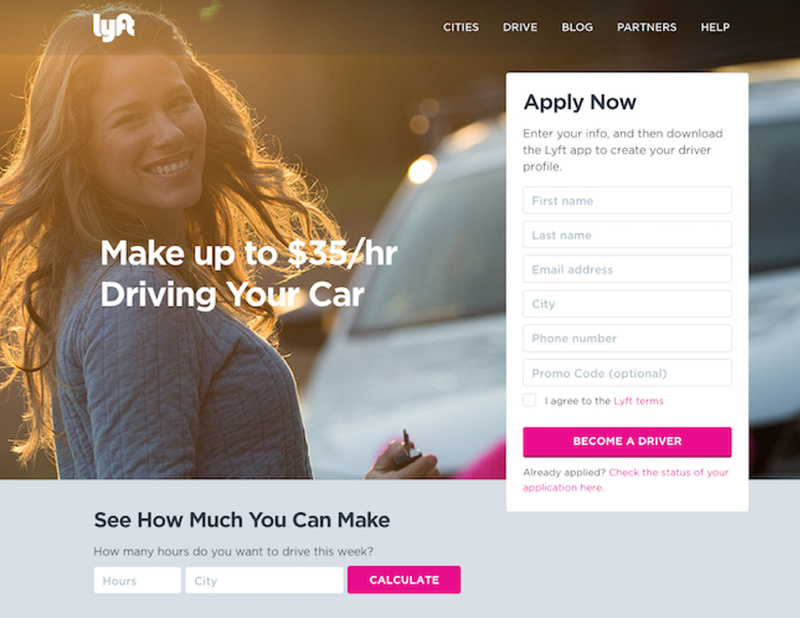 Here’s another example from Lyft that includes multiple calls to action. The first, as you’ll notice, is designed to encourage people to apply to become a driver. However, not everyone is instantly enthralled with the idea of entering all their personal information up front. As the old sales mantra goes – they want to know what’s in it for them. This is an excellent strategy, as they help minimize the risk that people will simply bounce off of the site entirely if they don’t feel immediately comfortable giving up key information like their email address or phone number. If you go back to the Crazy Egg example from the beginning of this article, you’ll see a similar approach. Our landing page doesn’t ask for your email address. It invites you to enter your website’s address instead. Clicking the “Get Started” button will take you to a form, whereas you can also choose to simply read more. The bottom of the page includes a link to create a plan that works with your lifestyle – again, a win-win for both parties. 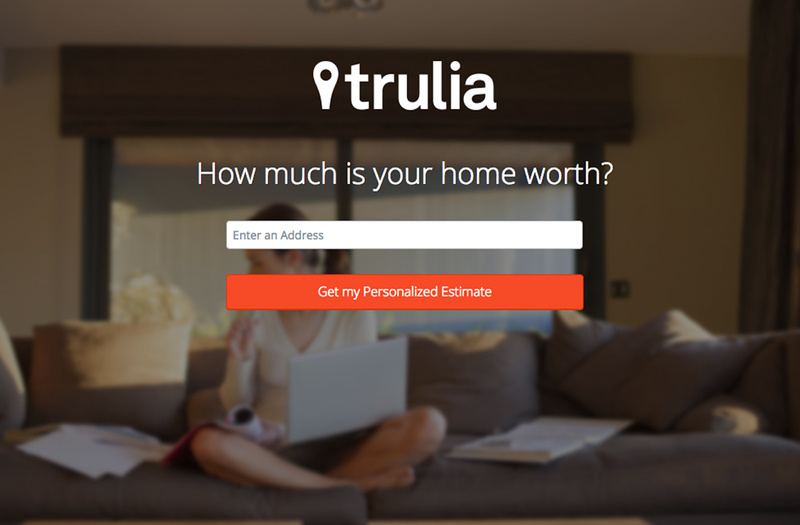 Real estate site Trulia follows a similar principle by asking you a simple question – how much is your home worth? Most people don’t know, but would like to know if they’d ever considered selling their home. The disclaimer here is that you’ll be connected with a real estate agent who can go through the steps necessary to give you a basic estimate on your home. At this point, you’ve already filled out the other form fields, so for many people, the curiosity factor outweighs the concern that “my information is going to a third party.” The Sunken Cost Fallacy is prevalent here, and many people will continue to fill out the form because they’ve already come this far. Whether you’re looking to increase downloads of your app, or you want to provide a reliable experience on mobile devices, size does matter. It’s not about how much information you can fit into a small screen space, but rather how easy it is for the user to want to act on the information you present. Will your landing page be tied to a social media ad campaign? A pay-per-click campaign like Google Adwords? Or will it be for purely organic traffic? You should know that if you’re considering a pay-per-click campaign, 85% of clicks resulting from a search will be on the organic (non-paid) links. However, by the same token, nearly 65% of high commercial intent (a high likelihood to buy) searches will click on the paid keywords. This translates to beginning users being more likely to click on non-paid search results, whereas as they travel further through the funnel, they go from simply gathering information about a choice, to clicking on paid ads to make a more informed decision and comparison shop between providers. One is not necessarily better than the others, as you may be targeting beginning users in the “information gathering” stage, or you may be looking more toward those users who have “done their homework” and are moving on to purchase – or both! With that in mind, however, you’ll want to craft separate landing pages – each with unique calls to action and offers that are dependent on these prospects’ place in the funnel respectively. No matter which type of campaign you want to run, it’s absolutely vital that you continue the conversation with your user in a way that makes them feel comfortable and certain that they’ve come to the right place. This means there should be no “mental disconnects” between what the user is searching for, and when they end up on your landing page. For example, if I click on a paid Facebook ad for lawn care services, the last place I want to end up is on your landing page for landscaping. One is a more broad term, while the other is more specific. And the more specific you can be in tying your landing page to your ad – in terms of content, design, and flow, the better it will convert. This is known as “continuing the narrative”. You can have a landing page for landscaping, but it may be better suited to organic, local traffic than a paid ad since the competition is so high. Beyond helping you to convert more users to potential customers, a landing page which more precisely matches the search terms you’re interested in can also help increase your Quality Score in Google Adwords. The Quality Score is a combination of algorithms in Google Adwords that make it more likely that your paid ad will appear when someone searches for your keyword or phrase. It’s calculated by determining a wide range of things – most notably how many people click your ad, how long they stay on your pages, and what they do after landing on your page. A high Quality Score doesn’t just mean a better chance for your paid ads to show, but it also may mean that you pay less for them. You get to attract more targeted customers by paying less, and Google gets to continue on its quest to match relevant ad results to its users – everybody wins. There are lots of options available to you when creating landing pages. If you’re particularly design- or development-savvy, you may wish to create a template of your own. f you’re admittedly not that technologically inclined, you can still create gorgeous landing pages by using online page building platforms. Unbounce and Leadpages are two of the leading landing page creation tools. Both are heavily centered around the ability to start with a blank canvas or a template, and then drag and drop images, text, and form fields to create a page. Split testing, also known as A/B testing, involves taking two similar versions of the same page, and making one change between them, then directing 50% of the traffic to version A, and 50% to version B, and seeing which one converted more users. What is the “one change”? If you browse the web for things like “split testing ideas”, you’ll see they mention everything from changing the color of your form button, to changing your offer entirely. We recommend focusing on bigger changes – changes that will could lead to major lifts in your conversion rate. The only way to know what truly works for you is to test and see. So how do you create a split test? 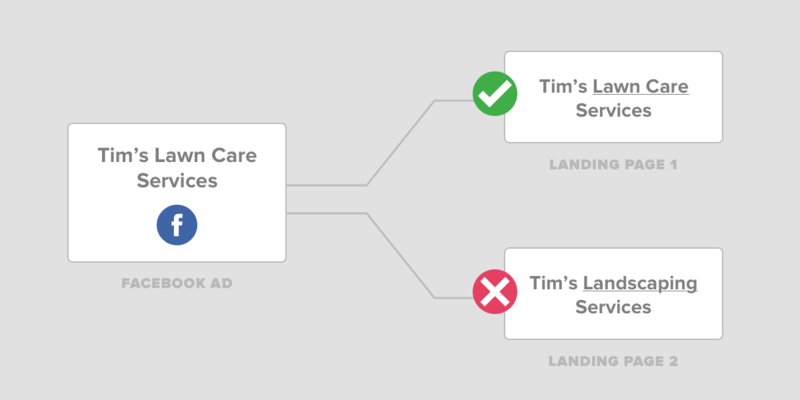 If you have a Google Ads pay-per-click account, you can learn how to split test your landing pages by using their Content Experiments. If you’re using Facebook to post links to your landing pages or running Facebook ads, you can follow this handy guide by Wordstream to learn how to split test posts and ads. If you’re using Unbounce or Leadpages as your landing page design platform of choice, you’ll be glad to know that both have built in split testing features. Unbounce’s step by step guide to creating an A/B test is here, while Leadpages’ guide is here. Starting out, you’ll want to direct half of your traffic to one version of your landing page, and the other half to the other version. You’ll want to get plenty of traffic to each version so that you can properly determine the “winner” – or which one converted better. How much traffic is “plenty”? While you could theoretically get by with directing 100 users to each landing page and then gauging the results, the more targeted traffic you can send to your pages, the more accurately you can gauge the results. Let’s say you conduct a split test, and send 500 users to one landing page, and 500 users to another. After looking at the results, you see that one version is converting better than the other. But how do you know this is due to changes you made on the landing page, and not due to pure chance? This is called achieving “statistical significance”, and it’s an important method to “prove” one landing page has converted better than the other, even taking pure chance into consideration. Many of the online platforms set the statistical significance at 95% by default (though you can change it). This means that there’s a 95% chance that one landing page converted better than the other because of what you tested on it, and not due to pure randomness. You can even determine how many visitors you’ll need in order to achieve the conversion rate you’d like to see – based on what percentage of customers you think will convert, and how much of a change you want to detect. The good news is, the bigger the change, the less traffic you need, and the smaller the change, the more traffic you need. This calculator from Optimizely lets you play with the numbers a bit to determine exactly how much traffic you need in order to get the results you want. One of the most common mistakes people make is calling tests too early. Let’s say you have a test that’s telling you there’s an 80% statistical significance that the variation you’re testing will beat the control. Eighty percent is pretty good, right? It seems that way – but only on the surface. If you call the test too early, you risk posting a new control that hasn’t had enough time for your audience to really warm up to it. It’s converting due to a small amount of traffic or a short amount of time. Even 90% statistical significance isn’t good enough. You want at least 95% or greater – and most of the split testing platforms on the market are geared toward getting your hopes up by calling their tests too early. For example, Optimizely, by default, declares a winner when you have at least 25 conversions and 100 visitors. That’s not nearly enough to generate real statistical significance. You want at least 1,000 or more. That kind of outcome is designed to purely fluff up your ego. Unfortunately, as of this writing, there’s no way to change the minimum sample size before the system declares a winner. You’ll simply have to allow it to accrue more traffic let the test run longer to get to the real results. Here’s an example from ConversionXL that shows precisely what happens when tests are called too early. You’ll see with just a bit more time and traffic, the test has a much better outcome – and 95% statistical significance to show for it. But what if your site gets a lot of traffic and you’re able to achieve 95% statistical significance in just 3 days? That’s great right? You can pack up your stuff and go home. Because you need to take into consideration that seasonality and people’s whims in general change from day to day – so, for example, if you sell backpacks, you may conducting split tests that hit statistical significance very quickly during the back-to-school season – but that’s because the rush is on for backpacks. Let your test run a full seven days just to be certain your statistics aren’t being swayed by seasonality and other outside factors. Otherwise, you’ll end up with a heavily weighted test that skews the significance based on things beyond your control. What Happens if My Test Fails? Let’s say you decide to change the headline of your page and test it, and it fails miserably. You swear off ever running a headline test again. It can be disheartening, but don’t let one failed test ever turn you off from running similar tests. Chalk it up to “well, that approach didn’t work – what else can we try?” and always be brainstorming new, meaningful hypotheses. Stuff like button colors aren’t meaningful hypotheses. Stuff like call-to-action text, however, is. So make sure that whatever you decide to test, you’re making real, measurable and impactful progress. Even if what you’re testing fails, you’re still learning what, specifically, is resonating with your audience and encouraging them to take action. Split testing is just one of many ways you can gauge the effectiveness of your landing pages. It’s by far the most mathematically accurate way – especially if you need hard numbers to show progress to your boss. But there are other methods too which can reveal some surprising insights that standard A/B testing alone may not give you. Heat maps, such as the many types offered by Crazy Egg, show you where on your landing page user activity is centered. Is your call to action button really getting all the action? Or is something drawing your users’ attention away from the action you want them to take? The only way to know for sure is to use a heat mapping tool. Heat maps, as the name implies, show concentrations of user activity, allowing you to eliminate any areas of friction that could be causing your users to hesitate or be reluctant to take action. By looking at your heat maps, you can see where their attention goes, and make changes to your landing page to direct them where you think they should go. Another option for getting insights on your landing pages beyond what analytics and split testing can offer you is user testing. Sites like UserTesting.com allow you to connect with a group of people the fit your target audience profile. Are you a car insurer who only wants users with an open claim to test your landing page to see if it gives them the help they need? You can specify that in your audience parameters. Want toddler moms to test your pages from a certain local community? User Testing takes care of finding you the right people – as close to your testing specification as possible. They then record themselves interacting with your pages while you ask them written questions, such as “how easy was it to understand the offer?” “What questions came to mind when you saw the headline?” – and things like that. Depending on how specific you want your audience to be, it may take some time for your tests to be completed, but the insights you can gain from the very people you’re targeting may surprise you, as it gives an inside look into the thought processes of your audience that you may never have considered before. Once you start creating your landing page, or even browsing through the templates that these platforms offer, a pattern will start to emerge. 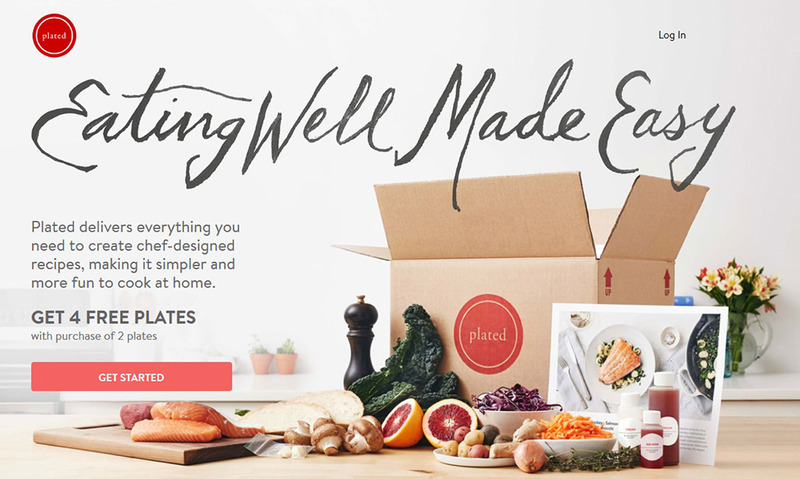 All of the best landing pages draw upon several best practices including the following. 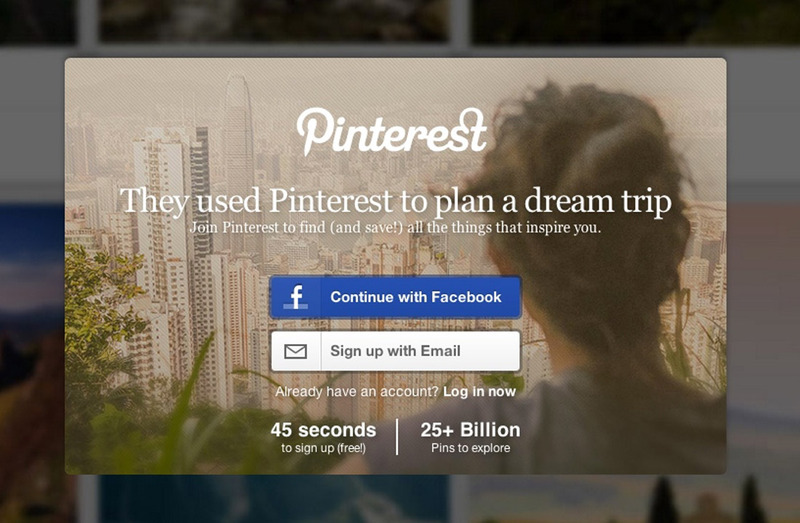 “They Used Pinterest to Plan a Dream Trip” – Even if you’ve never heard of Pinterest, this would likely spark your curiosity. It’s quickly followed up by a subheadline that further clarifies what’s being offered “Join Pinterest to find (and save) all the things that inspire you”. In just seconds, Pinterest not only tells you what you can do with it, but inspires you to get started. The points at the bottom – that it takes 45 seconds to sign up (and that it’s free) and that there are 25+ billion pins to explore already show you how quick and easy it is – and addictive! 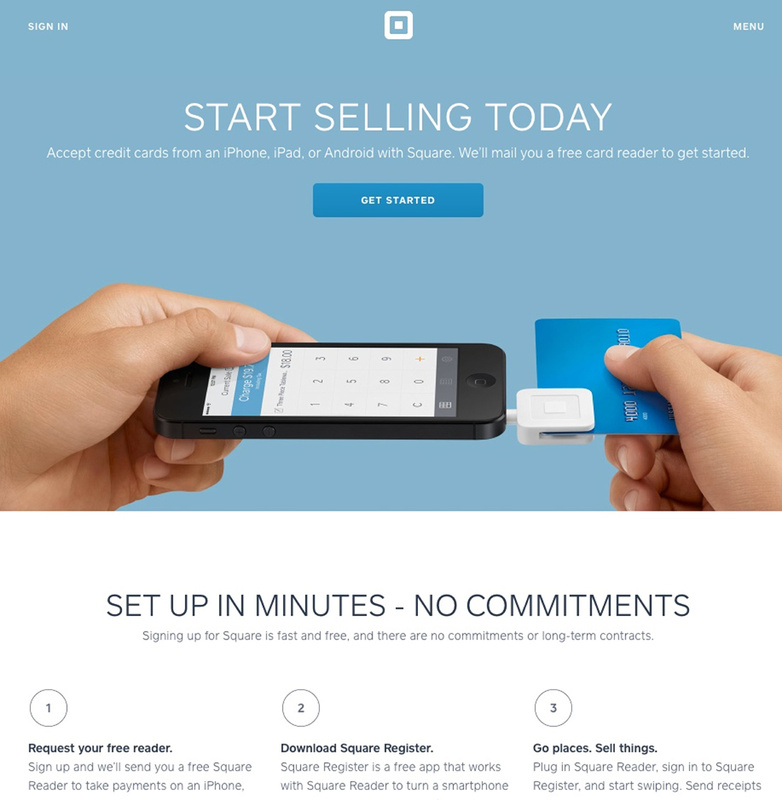 Square is one of my go-to landing page copy inspirations, and when you see it, you’ll see why. The “hero shot” – here, an image the perfectly illustrates Square’s product, is fresh, exciting and easy to understand. The headline “Start Selling Today” shows how quickly you can be up and running – and which platforms and phones the service runs on. Many people choose to use video as their hero shot – but with mobile bandwidth concerns and loading time, this is definitely something you want to split test to determine if it really has the impact on your users that you hope for. Would a simple image like this one suffice instead? 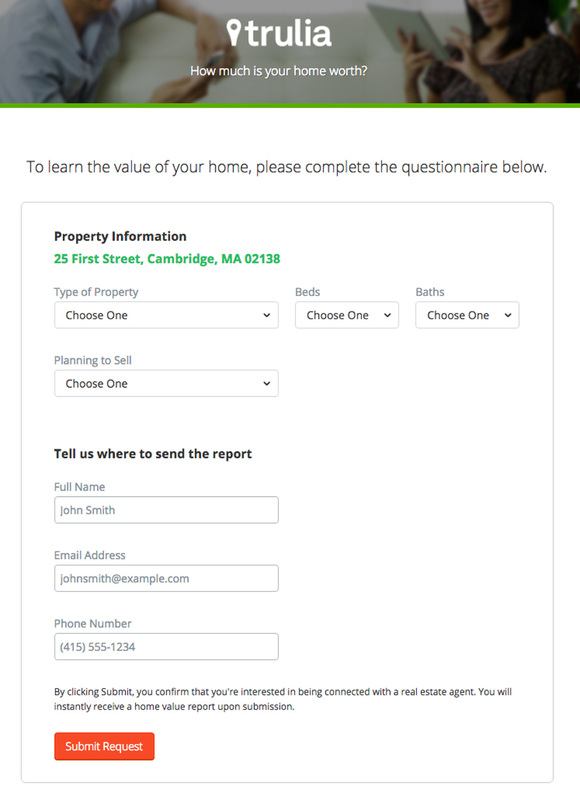 The numbered points on the Square website above further support the headline by telling you exactly what steps to take in order to “Start Selling Today” – namely that you request them to mail you a reader, download the app, plug the reader into your phone, start the app and sell. 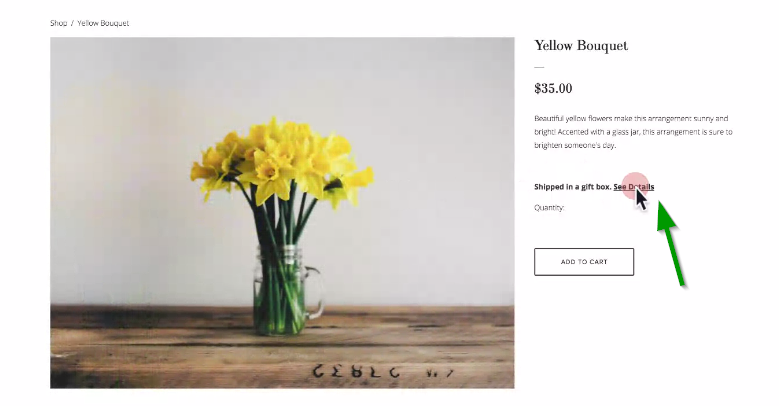 It’s a quick process that can make a significant difference for online retailers, and Square has captured that in its concise, succinct copy. Your call to action is the “moment of truth” on your landing page. It’s where the user decides to take action or not. So this is not the time to wimp out with your copy. Many sites choose the standard route of “Learn More” – but all things considered, that’s a pretty weak call-to-action. What will I be learning, exactly? Most “Learn More” buttons actually take the user to a long page full of info, that they likely don’t have the time nor the desire to read. Since this button is so important, it’s the perfect time to think of ways that you can eliminate any uncertainty or reluctance in your visitors. Why settle for “Learn More” when you could have “Sign Up for Your Free Account (It takes less than 45 seconds)” or “Click Here to Start Your Free Trial” (no credit card required”) – things like that tell the user on a subconscious level that you’re not out to bog them down with complicated forms or account “gotchas” where your first month is free and you pay just $699/month thereafter. And finally, if the call to action, the headline, the hero shot and the benefit-oriented points don’t seal the deal, it’s time to call in the backup with trust indicators. 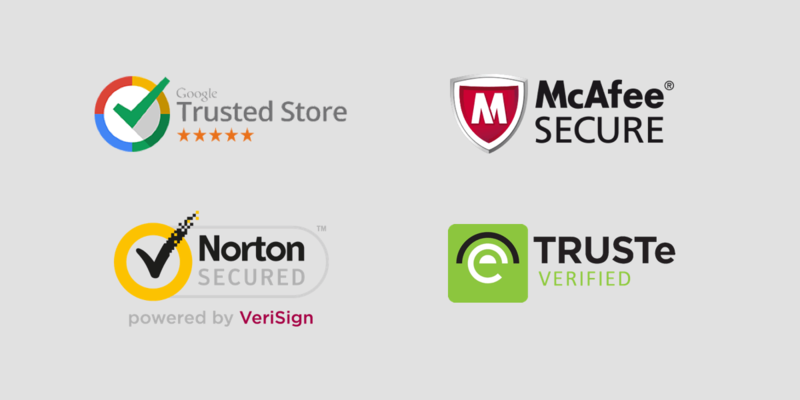 Many people think of these as special seals showing that your site is safe from hackers, has SSL encryption (which is nevertheless important), and so on, but those aren’t the only types of trust indicators out there. So now that you know the different types of landing pages you can create and the kind of copy that converts users who land on them, you’ve likely decided on the type that best fits your goals. But just building the page out is only the first step. You can have the most beautiful landing page in the world – but it’s useless if there’s no traffic going to it. Although it seems easy enough to tie a landing page to a Google Adwords or Facebook ad campaign and measure its performance, say, at the end of the week — you’ll be much better off if you split test your pages and understand how to identify a “winner”. A solid headline and a compelling offer can easily double the performance of your landing page. All of those other, superfluous things like button color and font size are just too minuscule to really squeeze out wins. Too much effort without much of a payoff. In fact, you can even hold off on creating the landing page itself until after you’ve collected some basic data with Facebook ads as to how the copy is doing. Split test a couple of offers that way before diving into your landing page so that you don’t waste time crafting an offer that falls flat with your target audience. If you do manage to find a better offer, it might seem to be counter-intuitive to test a second offer. After all, wouldn’t you want to keep improving upon a winning formula? Not always. Sometimes the offer you test could end up trouncing your winner – a finding you never would have known if you were busy micromanaging things like line space and form design. That’s not to say, however, that those things aren’t important – it’s just that in the grand scheme of things, especially as you keep testing new offers and launching new products and services, you’ll need to start prioritizing campaigns that have the potential to deliver impactful results without a lot of time and effort wasted. In essence, you’ll become a well-oiled landing page optimization machine! On the surface, it might seem to make sense to apply the same process you used when creating your inbound/organic traffic landing pages versus your paid channel landing pages. But you’ll need to take a completely different approach, since you’re spending money on every paid ad, and you want to test and tweak everything to determine what really resonates with your audience. Organic and inbound landing pages only need a couple of solid offers to check off all their conversion boxes. Needless to say, the copy, form, type of offer, headline and other points of the landing page are completely different when comparing paid versus organic campaigns. Paid channels get you traffic right away, whereas organic may need some time to get up to full speed depending on the traffic you’re already getting. It’s worth noting that unless your data is set up to see conversions all the way down the funnel (and not just the top of it), it may not even be worth split testing your landing pages at all until you can see that data. You don’t want a high converting landing page that fills the top of your funnel with promising leads only to have them leak out right before you’d recoup your investment in getting them that far. For some businesses, this process is simple and straightforward. For others, it can be a tangled mess. However, in order to get the most actionable data, it’s necessary. With the foundation set, it’s time to dig into landing page optimization best practices. As I mentioned before, you can’t rely on best practices for your entire marketing strategy, but they can form the basis of your first efforts. 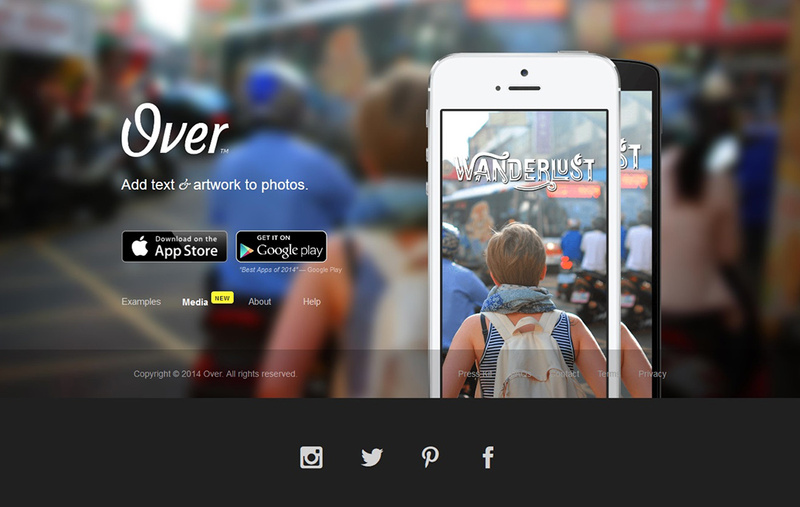 Do more people convert on Version A because the image is more enticing? Are people less likely to convert on Version B because of a confusing CTA? The only way to know is by testing one element at a time. But conversions aren’t the only metric to consider. For instance, time on page matters because you want to know if people take the time to read your landing page copy. Do they express interest in what you’re communicating? A low bounce rate matters, too. Some people might not be ready to convert on your landing page offer, but they click back to your homepage to learn more about your business. You’ll want to run user behavior reports so you can “see” what users do after they arrive on your page. Do they scroll below the fold? Do they click on any links? Knowing this information will help you perfect your landing page. On-page search engine optimization refers to the efforts you make on a specific web page to make search engines more likely to find it for specific keywords. Even though you might funnel traffic to a landing page from another third-party source, such as paid social, you’ll benefit from organic search traffic, too. 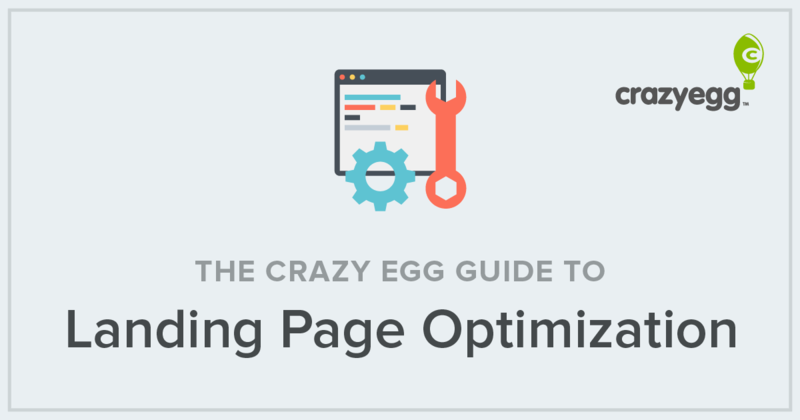 To better understand how on-page SEO works for a landing page, let’s use Crazy Egg’s landing page as an example. To start with, CrazyEgg.com is a great URL. It’s the brand name by itself, which will help it rank for brand-related searches. It’s a little long, so it gets cut off in the SERPs, but it includes important keywords and a resounding call to action. If you scroll through the text on CrazyEgg.com, you’ll see several modules that include keyword-rich text. Not only are they optimized for SEO, but they’re also appealing to human readers. Incorporating these on-page SEO hacks can help more people find your landing pages, which means you get more opportunities to convert people. Your landing page copy should be short and sweet, but generous with details. How do you achieve that? If you look at the Crazy Egg homepage, there’s considerable text. However, it’s broken up into brief snippets separated by plenty of white space. The reader feels like he or she can breathe between reading about specific tools. You can also make your landing page less dense by setting apart features, benefits, and other lists with bullet points. They’re easy on the eyes. Most importantly, though, you want your landing page copy to persuade. If it doesn’t do that, you’ve lost the battle already. Use gripping verbs, tantalizing adjectives, and strong visuals to entrance your audience. You want them to keep reading so they better understand the offer you’re providing. 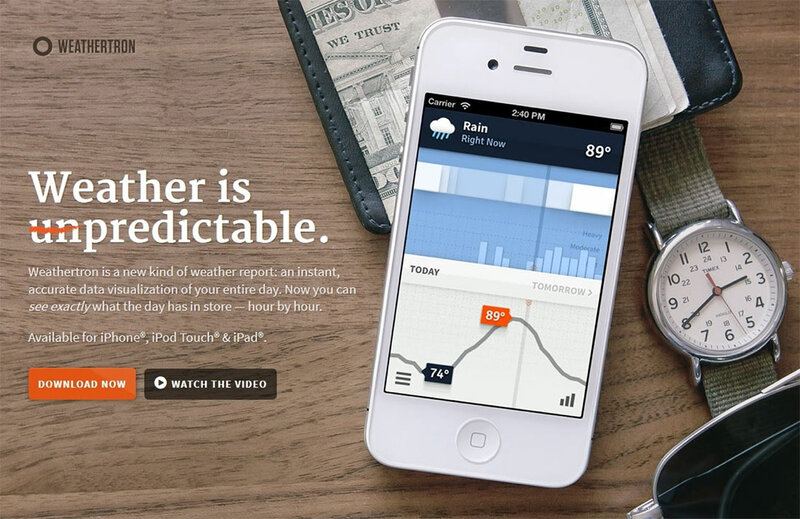 There are plenty of other landing page elements to experiment with. Try them on your site to see if they influence your conversions. Don’t forget that placement matters. A high-quality photograph might help boost conversions, but only if it’s in the right spot. That’s where A/B testing comes in. Would you do business with someone you couldn’t trust? Of course not. 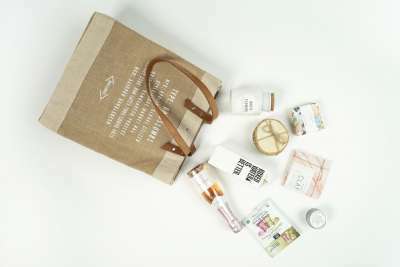 Would you buy a product from someone who appeared disreputable? No way. You have to think like the consumer. Establishing credibility and trust will help your prospective customers feel safe in your hands. A professional design, testimonials from satisfied customers, and mentions of any professional credentials can all help. One offer won’t work on all landing page visitors. One of the best landing page optimization best practices is to test different offers. Try offering several different lead magnets or different versions of a discount. For instance, do you get more conversions by offering 10 percent off or a $20 coupon? Page load time has become increasingly important for both user experience and SEO. Google wants to rank pages that load quickly regardless of the user’s screen, and consumers won’t wait for a page to slowly load. If necessary, consult with a developer to bring down your page load times. I mentioned above that there are lots of different landing page types. Some are meant for lead generation, others for selling products. StitchFix has an excellent landing page for its “Ask a Stylist” feature. It’s also a great example because I would make some changes to improve it. See the green boxes? Those are unnecessary. They distract from the primary CTA and give visitors a reason to leave. However, it’s spot-on in just about every other way. There’s a clear headline — “Have a Fashion Question?” — superimposed on top of two stylish women. Then you have the actual form, which offers the second part of the headline. I might make the CTA a little bigger, but it’s otherwise spot-on. Now that we know some of the best landing page optimization best practices, how can you put them into action? Using landing page optimization tools not only speeds up the process, but also makes your results more accurate and refined. Unbounce is one of the original and perhaps the leading landing page creation and optimization platform. With their system, you can create an entirely new landing page from scratch, use an existing template as a basis (they have dozens of them), or even import a template from the aforementioned ThemeForest site, if the theme supports Unbounce integration. Leadpages is another type of drag-and-drop platform that lets you create a landing page starting from a blank canvas, or using an available template much like Unbounce. Unlike Unbounce, Leadpages does not have any specific themes designed around it, but it does have a WordPress plugin to allow you to use your Leadpages-designed landing page within WordPress. Instapage is a powerful landing page platform that’s good for any size operation. Instapage offers unlimited domains and it gives you all the tools you need to make a customizable landing page to fit your brand’s needs. With thousands of fonts and images to choose from and over 100 templates it definitely has a lot to offer. You didn’t think we’d leave out The Egg, did you? Crazy Egg concentrates to provide accurate, highly customizable user behavior reports. You can use them on your existing landing pages as well as variations you want to test. Check out our Crazy Egg demo to learn exactly how different reports work, from heatmaps and scroll maps to confetti maps and list reports. See that circle around the mouse? That’s a click. If you use Crazy Egg’s recording feature, you can see exactly how someone engages with your site so you can improve on existing landing page optimization best practices. Landing page optimization is one of the few areas of business that consistently gives you results that you can learn and grow from. Of course, they may not be the results you expect – or want — but they will definitely be a learning experience either way. The most important thing you can do when it comes to landing pages is: simply start. Start small. Don’t try to create landing pages for every keywords or group in your pay-per-click account. Landing pages aren’t something that you set and forget. Rather, they’re an ongoing investment in growing your business, connecting with your customers, and forging new relationships with prospects. They’re a way to gradually filter and concentrate on the differences between your business and your competition while discovering what it is about your product or service that people truly love. And you simply can’t get more optimized than that.